Did you know that 30% of couples get engaged between Dec. 20 and Jan. 3? If you are one of those lucky couples, congratulations! But now that you are engaged, what is the next step? Here are a few tips on what to do now! While there's no right or wrong way to announce your engagement, it's definitely important to let your family and close friends know first. Share your news in a phone call or a visit with your closest friends and family first. Then change your Facebook status (you don't want your best friend finding out on Facebook). Engagement parties usually take place within a few months of the proposal, and anyone there should be invited to your wedding as well. Traditionally, the bride's family has first dibs on planning it, but anyone can throw it for you, and it can be as formal or casual as you like. Go for a backyard BBQ or book a private room at your favorite restaurant. This party is all about the two of you, so make sure it matches your personal style from the setting down to the decor. Picture your perfect day -- imagine the location, the time of year, the overall vibe, the décor, the colors, and your attire. Search websites, like WeddingChannel.com, and read magazines to get ideas. Talk to each other and even your families to see what they have in mind. There's no need to narrow anything down at this point, but having a general mental sketch of your wedding day can make the rest of the process much easier. Determining how much you have to spend on your wedding from the start can help save you big in the long run. Sit down with your intended and prioritize the day. Do you care more about amazing food or a great live band? 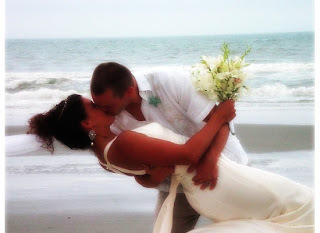 Would you rather downsize your venue and spend more on your honeymoon? Give yourselves a range for some items, like catering, since you probably don't have a final guest count, but otherwise, try to stick to the budget you set. We know it seems early in the game to get this one done, but trust us, having a basic idea of how many people you want to invite can help shape the rest of the wedding. You'll have very different choices when it comes to refining your budget and selecting your venue when you've got a party of around 50 versus around 200. You'll have lots of time to tweak the list throughout the coming year, but you might as well get an estimate now. Narrow your choices by crossing out these dates right now: Skip the weekend of daylight saving time changes (it might just confuse your guests); cross out the weekend of the Super Bowl and the weekends of Final Four/March Madness (it might leave some guests distracted); and eliminate any religious holidays that might offend guests. Other dates in the coming year, like 9/10/11 (on Saturday) and 11/11/11 (on Friday), might book quickly. If you're interested in a quirky date or a date close to a holiday, like New Year's Eve, it's better to make your final decision sooner than later. Now that you've got your date and a general idea of your how many people you'd like to invite, start looking around for the perfect venue. While you're searching, don't forget to ask about rain plans, rehearsal options, and any add-ons, like if the venue requires you stick to a certain caterer. Go to WeddingChannel.com to read reviews on the venues you have in mind before setting up appointments. Hiring a pro for some gorgeous engagement photos will be money well spent. And just like your reception venue, photographers book up fast. Do your homework online, and when you find someone you love, reserve them! Check out Revelation Images for their $20,000 contest they have going on right now! If you haven't figured it out yet, there's a lot that goes into planning a wedding. That's where a consultant or day-of coordinator can step in. Besides helping you sort through the legal jargon in the contracts you'll sign, consultants can help with just about any part of the wedding from coming up with creative ideas to helping sort out family drama, and even scoring you industry discounts. 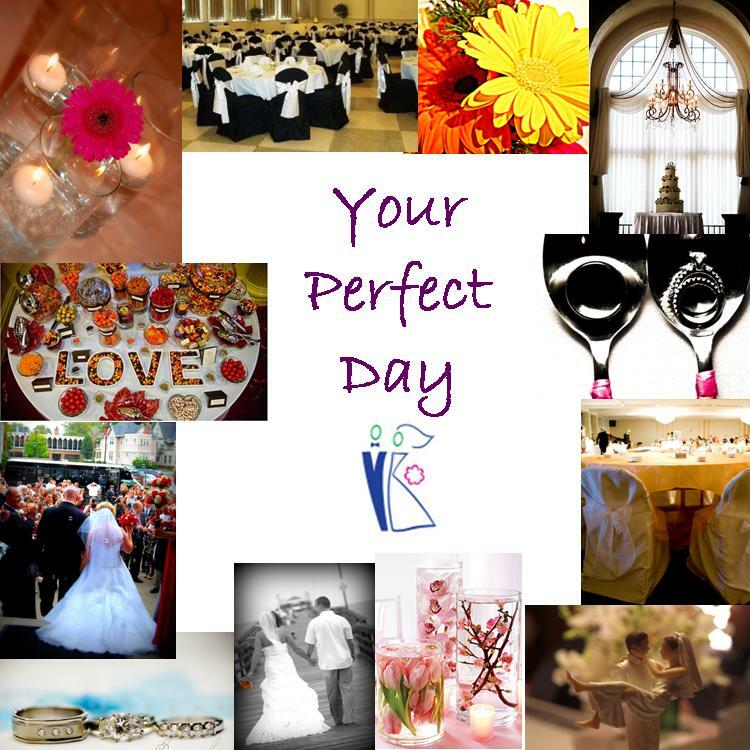 Be sure to check out Your Perfect Day! We offer a FREE 1-hour consultation and you get a FREE gift too! With thousands of choices, finding the perfect dress can seem a little daunting, so start small. With the general mood of your wedding day in mind, start thinking about styles that flatter your figure -- A-line versus mermaid, sheath versus ball gown. When you go to the wedding dress shop, try on several dresses, and don't be afraid to ask for advice from the shop's attendant. She may suggest something you've never even thought of. Thank you to the WEDDING CHANNEL for this blog!